FUNNY Pug Cartoon COMES TO DISNEY! "Puppy Dog Pals"
A funny new cartoon is coming soon to the Disney Channel, and it's all about PUGS! Pugs get a lot of play in the media, tv, and hollywood. They are super photogenic and hilarious, but rarely to they get to star in their own show! That all changed with the latest pug cartoon from Disney! Comedian Harland Williams created this awesome pug cartoon, "Puppy Dog Pals". The cartoon follows two fun-loving pugs Bingo and Rolly. Disney says this pug cartoon demonstrates positive lessons about friendship, problem-solving, collaboration, creativity and adventure. And these animated pugs get to have adventures that take them both around their neighborhood and around the world! 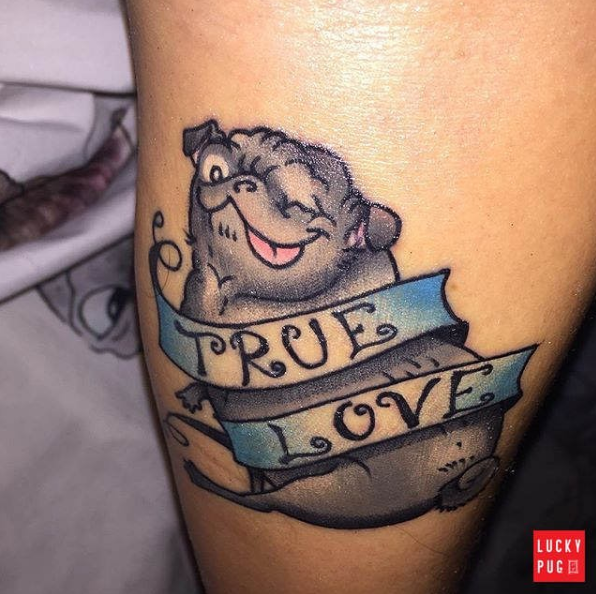 Guest stars for this cute pugtoon will include musician Huey Lewis, Patrick Warburton ("Family Guy"), Jack McBrayer ("30 Rock"), Cheri Oteri ("Saturday Night Live") and Mo Collins ("Fresh Off The Boat"). "Puppy Dog Pals" debuted on the Disney Channel at 9:30 a.m. CST on Friday, April 14. PUG EVENTS IN THE USA!!!! Game of Thrones with Pugs!?! ?The Pugs of Middle Earth!?!? You guys know we are big nerds here at pugcity.org, so of course we are huge huge huge fans of @pupstarsonoma and their fantasy loving pugs! Where did you guys get the names Roxy, Blue and Bono? Roxy’s name kind of came to us while we were driving her home for the first time…We’d discussed many names and had it down to a few but she was so sweet but also so spunky, Roxy just seemed to fit. Blue was the color of the length of yarn tied around his neck as a puppy so you could tell all his siblings apart from one another. Roxy, for instance, was Pink. Blue fit him as a name too so he kept it. Bono came to us with this name. He's our little rockstar…so he got to keep the name. We see your amazing costumes, who makes them? Susan makes all the costumes, and most of the accessories and props for our photo shoots. How did you get started with sci-fi fantasy costumes? First came costumes for Halloween contests and Holiday cards. Then the costumes evolved into more elaborate pieces with scenes that help tell the story or showed off the costume details. The costumes and sets in The Lord Of The Rings movies really inspired us. After doing a few of those, we were hooked! 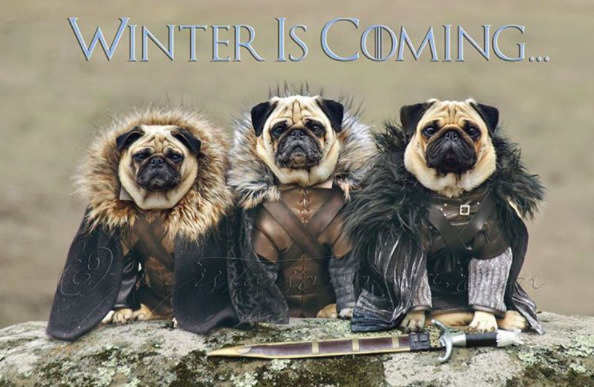 The Pugs of Westeros is our favorite! What inspired you to do a Game of Thrones themed photo series? Everything we’d done prior. GoT was a natural and we’d become dedicated fans of the series so we were compelled to create the characters. 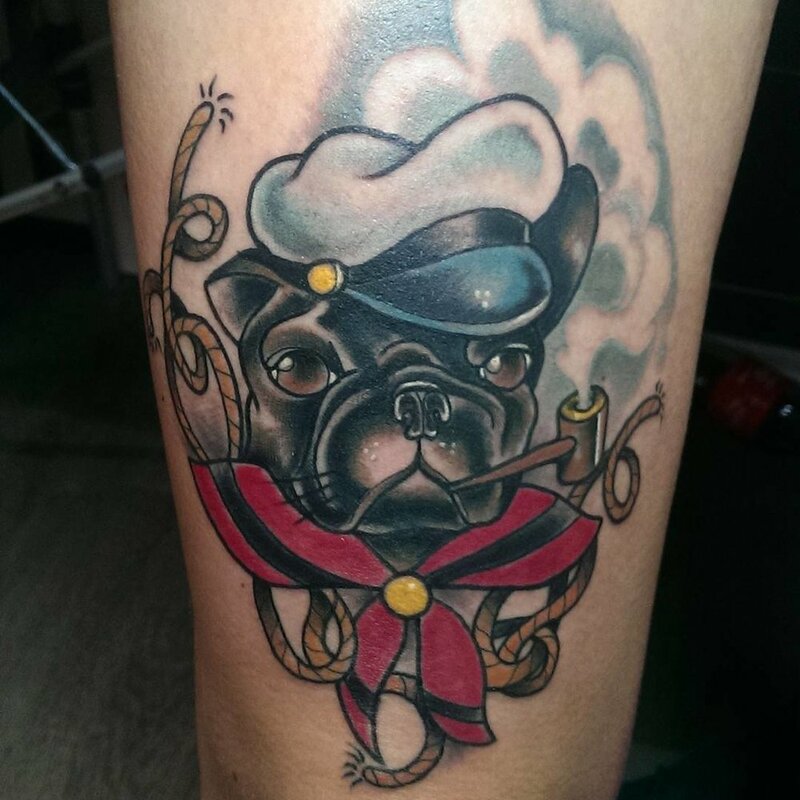 The funny thing is that while watching the series, we could envision each of our pugs as certain characters! Any stories from the photo shoot you’d like to share? Hmmm...no real funny or dramatic stories to share from a photo shoot. However, for the Pugs of Westeros video we really were not sure how smoothly things would go. There were 2 days of shooting, many costume and locations changes, extra people on the sets, tons of camera equipment, distractions and props... But the 3 pugs were total professionals and things went along quite smoothly. It was an amazing experience. I think the highlight though was the final shot on the last day of studio shooting, Roxy on the Iron Throne as King Joffrey Baratheon; with two little words (where’s mommy) she let out a series of whiny chirps just like King Joffrey! The timing was extraordinary and we kept it in the final cut of the video. 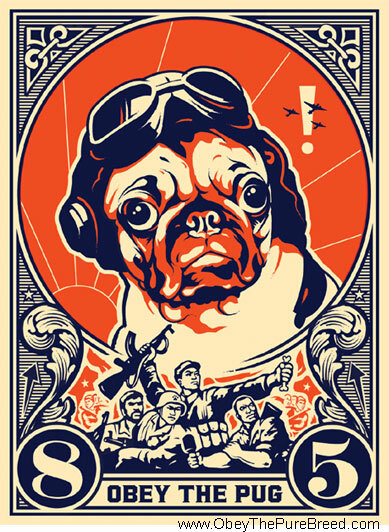 At PugCity we’re big sci fi nerds, Any plans for a Battlestar Galactica themed shoot? We had not thought about Battlestar Galactica as a theme but that might be fun to do! Now Bono, what’s Your Greatest Talent? Well, if you mean tricks...Roxy can do the most amount of tricks around here. I can play fetch and volleyball (bouncing a small soft toy off my nose back to Mom or Dad) but I think my greatest talent is getting people to fall in love with me. I like to zero in on certain people, calmly sit on their laps, give a snuff-snuff on their cheeks (no tongue) and maybe bat my eyes a few times. In return I get a "oh, Bono" from them and then they don't want to let me go. Plus Im the best pillow fighter! Bono, whats your favorite snack/treat? We each have our favorites. Roxy loves eggs. Blue goes crazy for chicken. I love cheese! These are all super special treats that we do not get very often. But when we do...oh boy! Whats the best part of living in Sonoma? We like the weather here. It doesn't get too hot or too cold. There are a lot of parks with beautiful views nearby. Our favorite off-leash beach is 30 minutes away and there are enough fun things to do around here without having to go too far. Do you sleep in or wake everybody up? I'm a sleep in kind of guy. I love to snuggle. Blue goes to bed the earliest but is also the first one up and tries to wake everyone up. Bono, whats your dream date? My dream date would have to involve people calling out my name and adoring me, lots of treats, going someplace interesting...like a rockstar! Do you have a favorite toy? I have many! I love all of my toys equally. Every night I dig through my toy boxes (I have 4 large ones) to find the perfect toy to play fetch with. My mom and dad love that I sometimes pull out the funniest awkward toy to play fetch with or I find something that they bought years ago and I finally think it's the best toy ever. Do you have any bad habits? I like to knock the pillows off the couch...especially at other people's houses. You should see my mom's face when I do it! I also like to steal rubber door stops. I just can't stand it when my mom puts them under the door...it's ridiculous! She tries to stick them in there really tight...like that is going to stop me from getting it out. She also tries to put it back when I'm not around thinking I wouldn't notice. But I always find the time to dig them out. She gave up buying them because I see to it they are never used as door stops. Why do I do it? Because I’m a rockstar! What does a typical day look like for you besides putting on costumes and bouncing around middle earth? Our dad gets up early for work and feeds us. Then we go back to bed with our mom. We like to start our day with morning stretches and massages. After some mom stuff we do pug maintenance (eye meds, face cleaning, walks). Usually while our mom does gardening or house cleaning stuff we like to do our sunbathing. I love sunbathing! If our mom doesn't have errands to run, she works on projects for us and that means we do some modeling. Modeling = extra cookies! Usually once a week, one of us gets to go to work with our dad. It's usually me since I'm the pug mascot! It’s an important job. Anything Else You’d Like To Add? When we first started doing costumes for the pugs (2007) we really did not plan on doing it on the scale that we do now. In fact, way back when, it was considered silly to dress your pet up. It is wonderful to see the pet costumes/clothes market and acceptance grow over the years. We love looking at all of the adorable photos! How long will we keep doing this? Well, we have a long list of ideas and have always said as long as our pugs are able and willing. Where can people find you online? Our complete portfolio is on our website at www.pupstarsonoma.com. That is the best place to view our photos full-screen (best navigated/viewed on an iPad or computer screen). UP NEXT : PUG SUPERHEROES! Managing your pets instagram account can be exhausting! 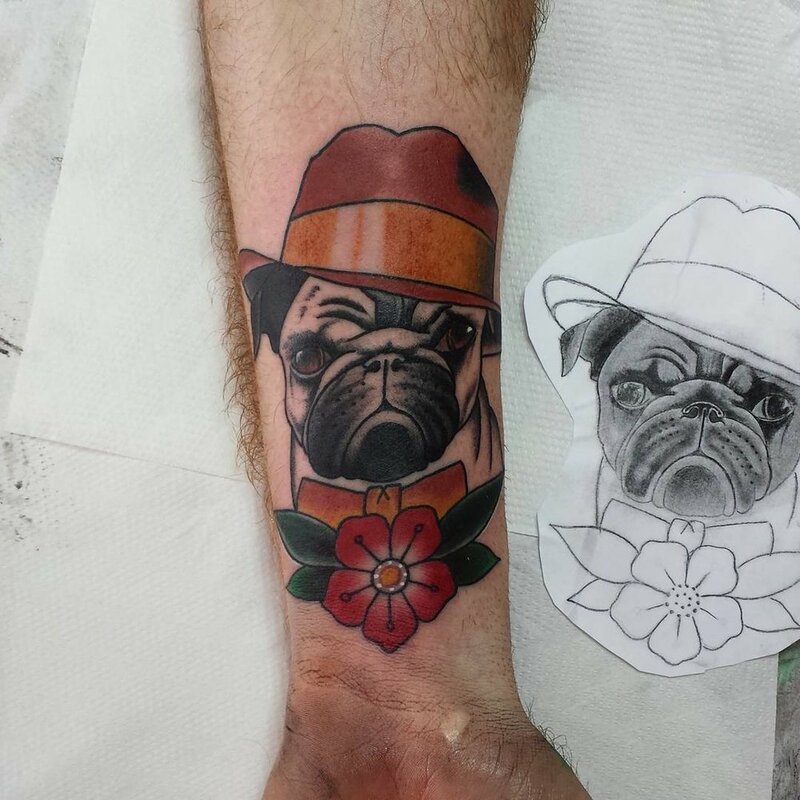 Sure not all of us can be @marniethedog or @itsdougthepug with crazy numbers over 2 million followers! Sometimes simple is good too, and even us small time dog instagram accounts could use a little careful planning and thought. Listen, not only do we need to post the cutest pictures for all our followers, but we need to think about what our followers want to see and when they want to see it. A lot of people use instagram schedulers, like ReadyPulse or Hootsuite. Both sites allow you to schedule posts for the future and to post them even when you're not glued to your phone! For the rest of us, who aren't using programs to bolster our dog instagram numbers, its good to know the best times to post pics to your pets instagram account. Studies have shown that the best engagement (in this case likes and comments) can be found at 5:00pm and 2:00Am. Why such weirdly specific times for successfully posting to your dogs instagram account? In a recent article with the HuffPost, Latergramme founder Matt Smith offered a theory: “We think this is because less people are posting at that time and that more engaged users are using Instagram at that time.” You may have already guessed, but 5 PM seems to make sense because it’s the time most people are wrapping up at work and possibly procrastinating on social media before they go home for the day." Latergramme did some tests and here are some of the best times to post to your pets instagram throughout the week to get the best engagement. Now more than likely Momo's not staying up till 3am just to post on her instagram account. That's why post management sites like ReadyPulse or Hootsuite can be helpful to instagram pet accounts! Furthermore, not all days are created equal. In a Latergramme study Wednesday was the best day to post to your pets instagram account! The average engagement for a Wednesday post was 4.9 percept compared to the horribly low 4.4 percent engagement on monday. Conclusion. Sometimes its better just to have fun with your dogs instagram account! We dont need to be famous animals to enjoy posting on instagram and there are so many fun and beautiful people on there just waiting for you pets awesome instagram post!